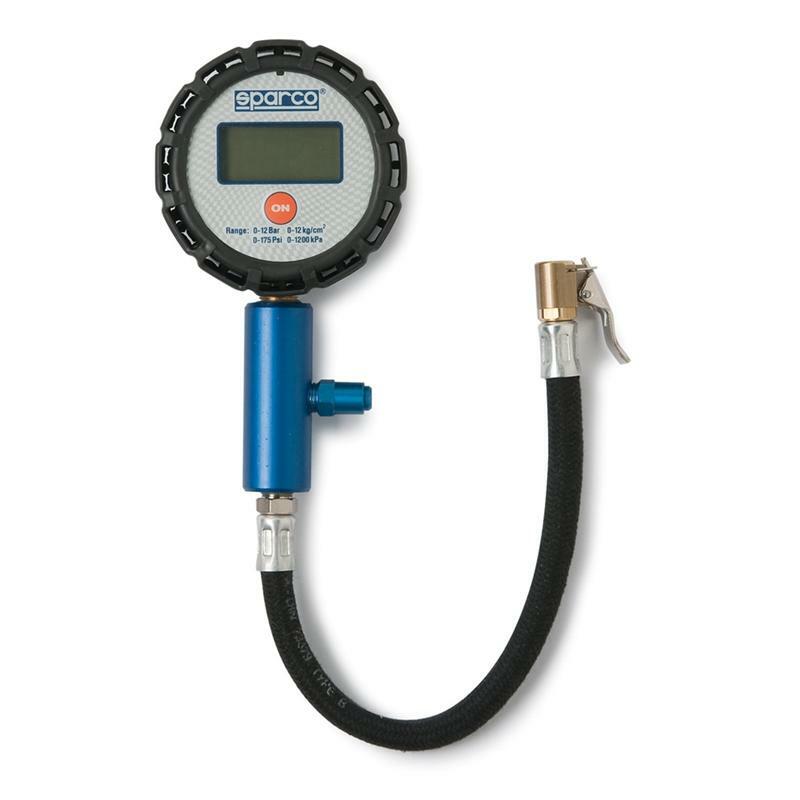 Sparco Competition Accessories - Air Pressure Gauge UNIVERSAL - MiataRoadster - Stay tuned with MiataRoadster! Our air pressure gauge reads in both Bar and PSI. Made with a high-quality aluminum handle and rubber cap for protection, this gauge reads with high precision on a 0- to 4-bar outer scale and 0-58 PSI inner scale analog, and is unlimited in digital. The gauge features a digital display or analog swiss movement that is liquid filled for ultimate accuracy.